It's the movie that has inspired and encouraged millions of people in theaters. 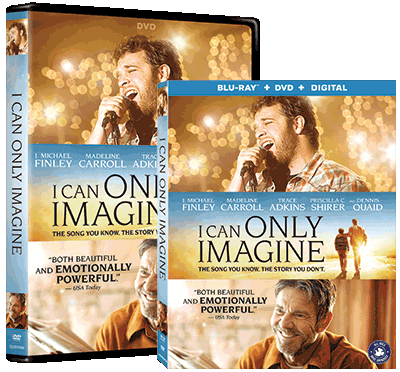 And now, you can pre-order I CAN ONLY IMAGINE to watch in your own home! Watch it on Digital or bring home the Blu-ray or DVD Now.